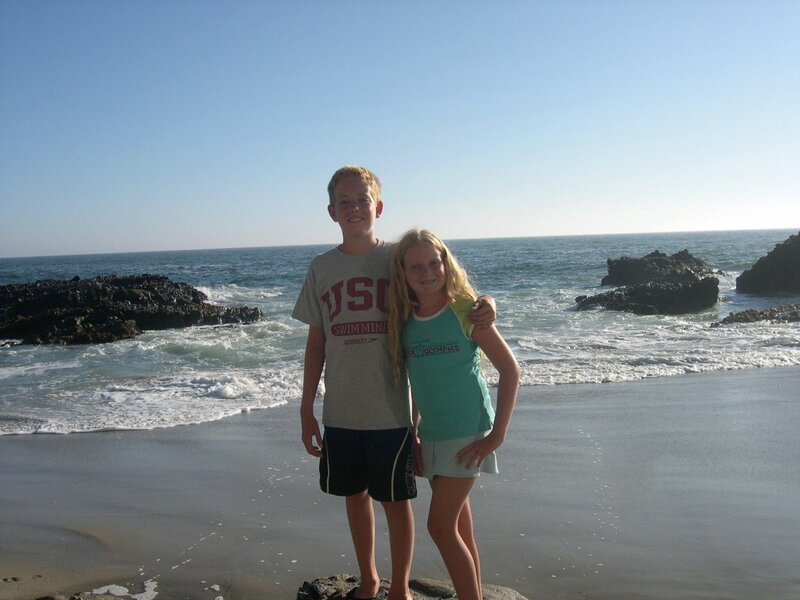 My confessions as a helicopter parent revisted…. 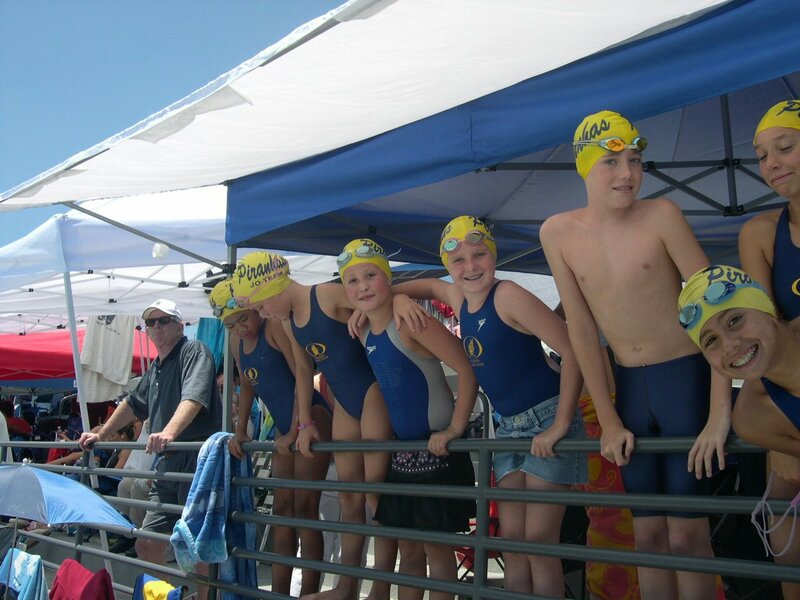 My kids and their teammates at a meet in Irvine years ago. I think it’s important to let your kids fail and find out it’s not the end of the world. They will pick themselves up and be stronger for it. I never let my kids fail. I was always there to make sure they were comfortable and successful. But were they? When they finally experienced bumps in the road–they were in college and I couldn’t do anything to help but listen. There’s a new study out from BYU that says that helicopter parents are hurting their kids. You can read more about it here. The study says that even loving parents don’t make up for the damage inflicted by excessive hovering. I don’t know if I’d call myself a helicopter parent or not. My kids would probably say yes, but as one swim coach told my daughter, we are far from the worst parents he’s met. To try and determine my status I took this quiz from the Christian Science Monitor. My two kids are so different, I question if I parented them differently? I feel like I helicoptered my first born, and was more laid back with the second. The result is one more dependent and one independent. I used to boil my son’s binky after it hit the ground for a good five minutes. I’ll never forget that smell of burning rubber when the water boiled away. The joke my husband used to tell was that with our second child, I asked the dog to “fetch” the binky. When my son was born, I worked on my writing and PR business from home. I thought I could full-time parent and work simultaneously. I didn’t take into consideration that clients would want to me run over for meetings without notice. Then, Robert went mobile. He was crawling around. Spitting-up on my keyboard. Nope, full-time work and stay-at-home parenting didn’t work out well for me. I hired a full-time babysitter and then became jealous every day they left for the park. Three years later, when my daughter was born, the full-time help was gone, and I switched to part-time work. I was able to spend time with the kids, and do a little work, too. It was a nice balance. Early on, I volunteered in my son’s classroom. I corrected papers, taught computers, writing. Anything they’d let me do. I’ll never forget arguing with his second-grade teacher over the word “artic” — the one word he missed on his test of the continents. After all, I had drilled him the night before over and over. “It’s arctic,” the teacher told me. Oops. My bad. My son constantly asked me to bring things to school. Papers he forgot. Projects left behind. I always dropped what I was doing and drove to school—including during his senior year of high school! I can’t believe I did that! I did not do that for my daughter. Mostly, because she never asked. I helped out with her schooling, too. But, in her elementary school years, it was limited to driving for field trips and special events. By that time, the school had wised up and banned parent helpers in the classroom. I have one child that now calls whenever there is a problem. His face pops up on my phone and I automatically ask, “What’s wrong?” A broken computer, a fender bender, a parking ticket. It’s always something. Of course, there are exceptions—he aced a test, or got asked to be a guest speaker by the Dean at a fundraiser. My daughter calls once a week or so to talk to tell me how she’s decorating her room, about a backpacking trip to hot springs, or that she had a good workout. Maybe the difference between my kids is this: they are entirely two different people, with different goals, personalities, and interests. As far as my being a helicopter parent? I think I improved over the years. 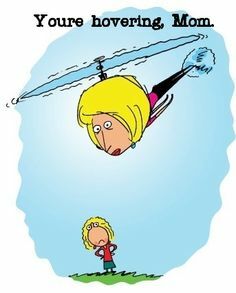 How do you define if you’re a helicopter parent? What things have you done that are over the top? I think we’re on a wave length, cause we’re writing similar ideas on the same days! Great post! We must have similar things going on in our lives!